All throughout San Luis Obispo and the surrounding area the experts at Dan’s Landscaping Company have developed a strong reputation as a premier residential landscaping contractor. We offer a wide variety of Residential Landscaping in San Luis Obispo. Dan’s Landscaping Company implements original yard landscapes that perfectly match your home’s architecture while standing out on its own. From basic seasonal routine maintenance to brand new projects, our skilled team of San Luis Obispo landscapers and contractors are ready to transform your yard into a spectacular landscape. Custom Residential Landscapes for You! Whether you’re looking for a clutter free clean grassy area or a flourishing backdrop with an assortment of water, stone, and plant attractions, our certified landscape group can design the outdoor scenery you’ve been looking for. 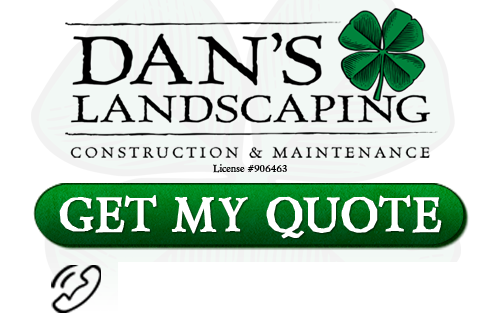 Dan’s Landscaping Company specialists begin with detailed consultation in order to review your property and your personal preferences. From there, we create a custom plan to beautify your outdoor living space. A professional landscape contractor will help you plan, design and direct all stages of your home or office Residential Landscaping in San Luis Obispo. Whether you are a San Luis Obispo homeowner with a specific vision in mind or need helpful hints from our professional experts, Dan’s Landscaping Company will convert and enhance your yard into the attractive and well-designed outdoor space that you have always wanted. If you’re searching for an innovative maintenance-free option to enjoy your outdoor space, hardscaping is the ideal solution for you. Focusing on the unique magnificence of natural stone and mineral, our San Luis Obispo landscaping professionals can build a variety of one of a kind hardscapes using primarily stone. From simple pavers to more natural looking flat stones, we have options to fit all tastes and budgets. The purpose of your exterior living space extends beyond the design of your landscaping. It is about building a total outdoor entertainment and relaxation experience. 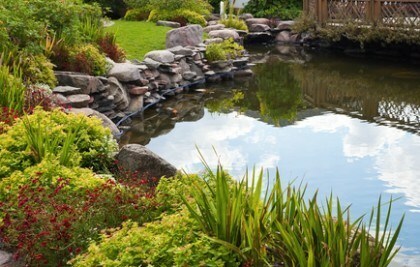 At Dan’s Landscaping Company we create serene gardens with the sights and sounds of flowing water. For those who like to entertain, perhaps an outdoor kitchen and a fire pit would suit your needs. No matter what you’re looking for, our San Luis Obispo landscaping contractors can create the perfect space just for you. Our passion separates us from the competition. Whether we’re maintaining a public park or building exterior social spaces, we enjoy creating in the outdoors. Our experienced employees all share our passion for imaginative, flowing living spaces that harness the natural beauty of water, stone, and plant life. Contact us today to see how Dan’s Landscaping Company, your San Luis Obispo landscaping services provider, can transform your yard or exterior. If you are looking for professional Residential Landscaping in San Luis Obispo then contact Dan’s Landscaping Company at 805-550-5488 or complete our online request form.